Start your Online Auto Glass Replacement Claim Today! Glas Tek is not only approved by your insurance company but is also a preferred auto glass repair provider in Arizona for most major carriers. We accept all insurance contract pricing and provide a nationwide lifetime warranty for your complete satisfaction and security. What this means is that there will never be any extra out-of-pocket expenses for your insurance company, or for you. We accept all major insurance companies including; State Farm, Allstate, Farmers, Liberty Mutual, Hartford, Nationwide, Allied, Travelers, Progressive, Esurance, Geico, American Family, USAA, AAA, Safeco, AIG, and many many others. Arizona policyholders have the right to pick any auto glass replacement shop you wish to perform the work on your car. What is the person’s name on the policy? (The individual named on the insurance card) Most insurance providers will only accept the auto glass repair claim from the person named on the policy. What is your insurance policy number? Please be aware that several insurance providers have different policy numbers for each car. Was there any more damage besides auto glass? Please be aware if there is body damage or stolen items: You may have to pay your comprehensive deductible, if the answer is yes. If you do have additional damage besides auto glass, be sure to decide if the damage is under or over you comprehensive deductible amount. If the repair costs will be under that cost, you may NOT want to claim any additional damage if you carry the auto glass replacement endorsement. 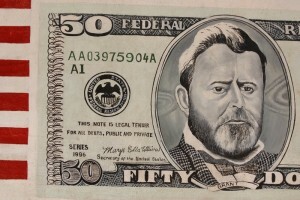 Typically, if you carry full glass coverage and you have a $500 comprehensive deductible and you are claiming other damage besides auto glass, your insurance company will make you pay for the auto glass repair and the damage up to your $500 deductible before they pay any additional costs. Was anyone hurt because of this breakage? Again, if the answer is yes, it will fall under your comprehensive deductible and not under your auto glass replacement endorsement. Was there an auto glass repair claim filed with your insurance provider? If you only talked to your agent and no claim number was issued, the answer is no. What was the date of the loss? Please note: Your insurance provider is unable to choose the date. If you do not remember the precise date, choose a date when you suspect the damage could have happened, like when you first saw it, or the day the break spread. Make sure your coverage existed during this time. In addition: If you choose a date, within the last six months or more, your insurance provider may have to look back through the information and it may hold up your claim. In what state did the auto glass breakage occur? Typically, the answer is Arizona. Is the broken area on the windshield bigger than a dollar bill? Be aware if your answer is yes: Your insurance company may request that you have the auto glass repaired instead of replaced. However, if you want it replaced versus repaired, let your insurance company know this. It is unclear who has the final say; you, your insurance company, Arizona Department of Transportation, or the auto glass repair shop. However, we believe that you pay for the coverage therefore you should have the final say. Furthermore, the State of Arizona made requiring insurance companies to add this additional coverage at a low cost so that Arizona drivers do not have to drive with broken windshields that impair their vision. Random Inspections: Please note; that several insurance providers require random windshield inspections before authorization can be given to the auto glass repair shop. These random inspections are to determine if the windshield can be repaired versus replaced or if the windshield is broken at all. 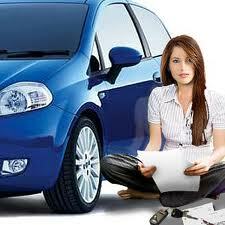 Insurance companies that are noted to participate in this practice include; Geico. Most major insurance businesses utilize third-party administrators (TPA) to file auto glass repair claims on their behalf. A member, Glas Tek is supported by both of these TPA’s and is a member of their auto glass repair program. Third-party administrators handle the auto glass repair claims on behalf of insurance companies including Farmers, Liberty Mutual, Hartford, Nationwide, Progressive, Geico, Allied, Alliance, State Farm, Encompass, Esurance, American Family, and USAA. All auto glass repair claims must be filed through the TPA. Glas Tek will help you file your claim with your insurance company and answer all your questions prior to work being done. It is now mandatory that every policyholder when filing damages for an auto glass repair or replacement must be present on the line. 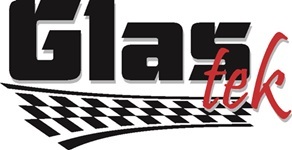 (To eliminate fraudulent claims) Glas Tek will assist you in filing your auto glass repair claim by connecting you directly to the TPA handling your insurance company’s glass claims. We will first answer all of your questions or concerns making the call as comfortable as possible for you. In addition, we will stay on the line during the entire process so that we can assist you in any way possible. Third-party administrators (TPA) may or may not have access to your entire insurance policy directly. Therefore, please have your insurance policy number available. Usually, it takes about ten-fifteen minutes to file a complete auto glass repair claim.